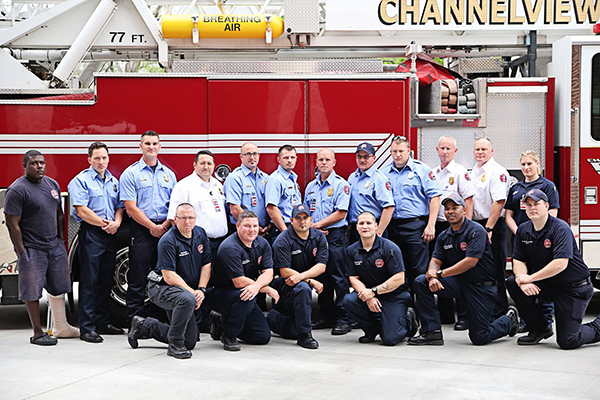 The Channelview Fire Department and its staff protect lives, property, and the environment from fire and hazardous materials exposure. Our EMS division provides quality emergency medical care and transport. We also help the community by offering programs to prepare citizens for emergency situations and prevention. C-Shift live burn at Baytown Fire Field. Channelview Fire Department takes an active role in the community to show the continuing dedication of service to the Channelview citizens. Great job may god bless yall. Channelview local Law Enforcement and Fire Department support CVISD Bond Vote on 5/4/2019. Congratulations, Scott. You make me proud! Congratulations and continued blessings mijo! Great job! Congratulations!!! Thank you for your service! Congratulations and thanks for protecting our neighborhood. Congratulations Katya-Ryen Garza!!! So very proud of you!